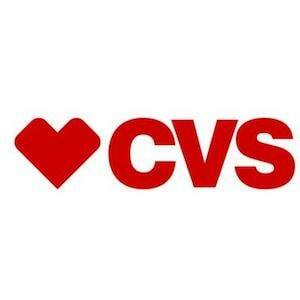 CVS is one of the largest retail pharmacy chains in the United States. There are literally hundreds of CVS pharmacy stores in Maryland, Washington DC, and Virginia; plus thousands more across the country. Each CVS location has a multipart business: a pharmacy that fills prescription medications and a retail store that sells over-the-counter health products and a variety of other convenience items. Tort lawsuits against CVS tend to reflect this 2-part business model. Tort lawsuits against CVS tend to fall into 2 general categories, each of which relates to a different part of the CVS business: (1) premises liability suits; and (2) malpractice suits for medication errors. Premises liability refers to lawsuits against property owners by people who are injured by some sort of hazardous condition (e.g., wet floor) on the premises. These are often referred to as "slip and fall" cases. Lawsuits by customers against retail stores (such as Target or Walmart) are the most common type of premises liability case. All CVS locations have significant retail shopping store component. The CVS retail stores are very high-volume with lots of individual customers conducting numerous small transactions. Compared to other retailers like Home Depot, the CVS retail stores do not have any particularly hazardous features or potentially deadly merchandise. However, busy CVS locations can often be host to a large number of customers going in and out on a daily basis. This level of inbound and outbound customer traffic alone puts CVS at risk so it is not surprising that premises liability are the most common type of tort action that CVS defends. CVS stores fill over a billion medication prescriptions every year across the U.S. When filling prescriptions, CVS pharmacies as functioning as healthcare providers which means they can be sued for medical malpractice. Malpractice lawsuits against CVS always involve some type of prescription medication error. Medication negligence by pharmacies falls into one of two major subtypes: (1) dispensing the wrong drug; and (2) harmful drug interactions. High-volume pharmacies like CVS make drug dispensing or prescription filling errors a lot more frequently than most people would think. Drug dispensing errors can include situations where the pharmacy dispenses the wrong medication (i.e., a completely different medication than what the prescription calls for). Another common error involves dispensing the wrong dose (e.g., giving 100mg pills instead of 10mg pills). These sort of filling mistakes happen a lot, but 9 times out of 10 the error is relatively harmless. Even if the pharmacy gives you the wrong drug or the wrong dose it is usually not going to hurt or kill you. When dispensing errors do cause actual harm or adverse side-effects, they are often short lived and no permanent injuries are involved. Most prescription error cases against CVS involve situations where the wrong drug results in a few days or weeks of physical distress and maybe a short hospital stay with no long lasting health consequences. As a result, these cases tend to have lower value. Below are summaries of lawsuits against CVS that resulted in jury verdicts or settlements that were publicly reported. These cases include both premises liability and medication error claims. Keep in mind that the cases below are just a small, limited sampling of CVS lawsuits because they do not include cases or claims that were settled confidentially. Marrone v CVS Pharmacy (California 2018) $2.5 million: plaintiff, 57-year-old female, is walking up ramped entrance to CVS Pharmacy when she trips and violently falls over a metal stub sticking out of the concrete with duct tape on it. The stub was remnant of a metal sign post that had previously been removed. Plaintiff did not request an ambulance or medical treatment immediately after her fall, but the following day she complained of pain all over her body and particularly in her left wrist. She went to a doctor and was diagnosed with herniated lumbar discs at L4-5 and L5-S1 with annular fissures, and osteophytes, or bone spurs, at C5-6 and C6-7, resulting in disc osteophyte complex. Over the next 2 years she undergoes numerous back surgeries and incurs medical expenses of over $400k. Defense admits liability but contests the extent of plaintiff's injuries. Jury awards $2.5 million. Katz v CVS Pharmacy (California 2017) $1.1 million: female plaintiff is shopping at CVS store when a store employee strikes her with a heavy metal shopping cart full of stock items. The impact knocks plaintiff over and she hits her head on a shelf and suffers a traumatic brain injury with white matter damage to her cerebellum with permanent cognitive impairment. She also suffers cervical back strain and shoulder damage. CVS denies liability claiming that plaintiff's own negligence was a contributing factor to the incident and denying that plaintiff hit her head on the shelf as alleged. Jury awards $1,190,000 in damages including $550k for pain and suffering + $300k for future medical expenses. Redmond v CVS Pharmacy (Texas 2017) $202,500: 61-year-old male plaintiff walks into CVS store to pick up his prescription. Store was not officially open yet but doors were unlocked and it appeared to be open for business. Contractors were inside the store installing shelving and electrical wiring. Plaintiff was told the store was closed so he starts walking back out when a large roll or electrical conduit falls on him and knocks him down. He suffers complex hip fracture requiring surgical repair with plates and screws and sues CVS and contractors for premises liability. Cases eventually settles for $202,500 with CVS paying for most of the settlement. Kadar v CVS Pharmacy (Indiana 2013) $455,563: female customer is walking into CVS store when she slips and falls on accumulated snow and ice in front of the building. She breaks her right leg and ankle in the fall and has to undergo several surgeries to repair the injuries. She sues CVS for premises liability but CVS denies liability claiming that its snow removal contractor had cleared the walkway shortly before the incident. Jury awards plaintiff $455k in damages. Thompson v CVS Pharmacy (Oklahoma 2013) $460,000: plaintiff is driving past a CVS store in Oklahoma City when he car skids on a patch of black ice, rolls over and slams into oncoming traffic. She suffers moderate head injuries and ruptured lumbar disc at L4/L5 which requires her to undergo spinal fusion surgery. She sues CVS alleging that the source of the black ice was a water leak coming from the CVS store near the intersection. CVS denies known of the leak but at trial the store's assistant manager admits that they were aware of the leak and had actually taken some steps to fix it. Jury awards $460,000 which includes punitive damages. Parker v CVS Pharmacy (Alabama 2011) $165,000: plaintiff's family doctor prescribes her a combination of two antibiotics, sulfamethoxazole and trimethoprim. She goes to CVS to have the prescription filled and they mistakenly give her hydroxyzine, an antihistamine slightly stronger than Benadryl. She suffers an acute allergic reaction to the antihistamine and goes to the hospital with uncontrollable shaking. She is released from the hospital a few hours later but she claims that the reaction causes her various medical problems over the following 2 years including swelling in her hands and wrists, fatigue, leg pain, vaginal bleeding, and other issues. CVS admits that it negligently filled her prescription but disputes the extent of her alleged damages. Jury awards $165,000. Nussbaum v CVS Inc. (Virginia 2011) $1.15 million: plaintiff's doctor calls in a prescription for Bactrim DC to the CVS pharmacy in Great Falls, VA. Plaintiff was already taking a blood thinner drug, Coumadin, which was contra-indicated with Bactrim because of a potentially dangerous interaction. Within 2 days the interaction between the drugs causes plaintiff to suffer uncontrolled internal bleeding and she dies soon after. Her estate sues both CVS and the doctors for wrongful death, alleging that they were negligent in prescribing and filling a prescription for a contra-indicated drug. CVS paid $950,000 to settle the medication error claims against it and the doctors paid $200,000. Molettiere v CVS Pharmacy (Pennsylvania 2011) $250,000: plaintiff slips and falls on unremoved snow and ice directly outside the entrance to a CVS store in Montgomery County, PA. She suffers back and neck injuries and sues CVS and snow removal contractor for premises liability. Snow removal contractor settles out and case proceeds against CVS. Jury awards $250,000 in damages. Ostrow v CVS Pharmacy (Connecticut 2006) $387,500: 77-year-old man suffers adverse reaction to prescription drug Biaxin which was filled by CVS. He sues CVS alleging that the pharmacy failed to properly review his list of current medications and failed to warn him of a potentially dangerous interaction with his blood pressure medication, Zocor. Jury awards $387,500 in damages despite the fact that plaintiff's injuries were apparently not permanent in nature. Chachad v CVS Pharmacy (Georgia 2004) $115,000: middle-age female plaintiff receives new prescription from her doctor for Glucotrol for management of her diabetes condition. CVS incorrectly fills the prescription with a blood thinner drug called Coumadin. Plaintiff takes the wrong medication for a month before undergoing planned surgery on her knee. After knee surgery plaintiff experiences excessive bleeding and vomiting at which point doctors discover the medication error by CVS. The drug she got from CVS made her blood too thin requiring two days of hospitalization with coagulation therapy, but no long-term injuries. CVS blames the mistake on the doctor's office but jury ultimately finds CVS responsible and awards $115,000 in damages. This case would have been worth much more if medication error had caused permanent injuries. If you have a potential lawsuit against CVS for premises liability, medication error or something else you need an experienced, respected personal injury firm in your corner. CVS is a huge corporation with billions in annual revenues so you can expect them to pay out top dollar to defend your claim. The lawyers at Miller & Zois have expertise in both prescription medication error and premises liability lawsuits. Contact us today at 800-553-8082 or contact us online.